There are few things more important than taking a new PC out of its box and setting it up for the first time. These days, new PCs take you through the process of starting up step by step. However, they also install lots of bloatware and are unlikely to be set up the way you want them to be, even after walking through the set up. Here’s how to set up your PC just the way you want it. The first step when you set up a new computer is to make sure that the version of Windows 10 that’s installed is the most recent. Microsoft Edge is a decent enough browser, but it lacks many of the features of more mature apps like Chrome and Firefox. You’ll probably be spending a huge portion of the time you spend on your PC in a web browser, so you may as well use one you like. Choose one of those browser, or both if you like and download and install it. Alternatively, you could install a third party antivirus tool. 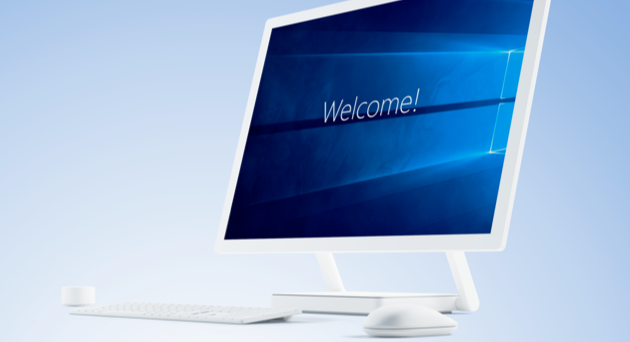 There are plenty of good ones for Windows 10. Several of them are free. Others are only free to scan your PC and then you have to buy the paid for version to remove any malware it finds. Research carefully and choose the one that best fits your needs. One things that’s common to nearly every new PC is bloatware — all the apps and tools the PC manufacturer pre-installs and that most of us never use. There are number of ways to get rid of it. The most extreme method is to download a completely new version of Windows 10 from Microsoft and run a clean install. However, that takes time and is disruptive. A much easier way to remove bloatware is to use a PC cleaning app, like CleanMyPC. Its uninstaller tool makes it very easy to quickly select all the apps and programs the PC manufacturer has installed on your PC and uninstall them with one click. Backing up your PC regularly is essential. If disaster strikes, say your laptop gets lost or stolen, or an extreme weather event hits your neighbourhood, the backup will be your data’s saviour and allow you to get back up and running again quickly. Ideally you should have two backups — one locally, say on an external hard drive or network attached storage box, and one remote, using an online backup tool. There are no shortage of local and online backup tools and services available, so do some research and find the one that best suits your needs. Once you chosen and install your backup tool, configure it so it runs incremental backups every hour. The applications you install here will depend on what you’re going to use your PC for. Most people will need office type applications such as a word processor and spreadsheet, for example. If you have an Office 365 subscription, you can go ahead and install apps from that. If not, there are plenty of free office tools such as Google Docs, Libre Office, and Open Office. You may also want to install a password manager to store usernames and passwords for online accounts, as well as credit card information and other sensitive data. Password managers encrypt your data using military-grade encryption and prevent you having to memorise passwords or write them down. We would also recommend installing a PC cleaning app, not just to allow you to uninstall bloatware but to keep your computer free of junk files, and keep it running smoothly. CleanMyPC also allows you to securely delete files using its file shredding tool. It can also clean up Windows Registry, disable autorun applications (those that launch automatically when you boot your computer), and protect your privacy by removing browser cookies, cache files, and extensions. This is the most important step of all. Now that you’ve got your new computer set up the way you want it, it’s time to start using and enjoying it. Take some time to get to know it, every PC is slightly different, and then have fun! Setting up a new computer takes a little bit of time, but as you can see from the above, it’s not difficult and once you’ve got it set up it will run happily for years to come.